OLD PARKED CARS. 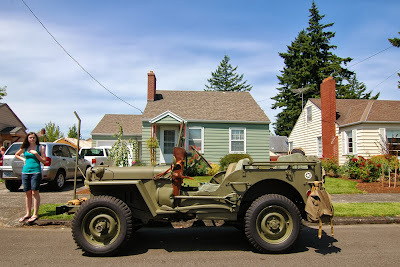 : Three Jeeps Deep: 1942 Ford GPW. 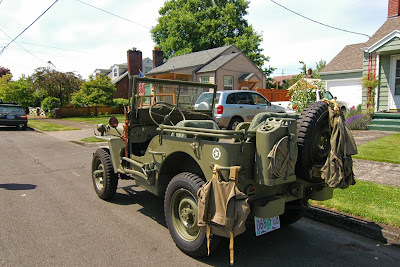 Three Jeeps Deep: 1942 Ford GPW. in all seriousness, there is no vehicle i want more at this very second. 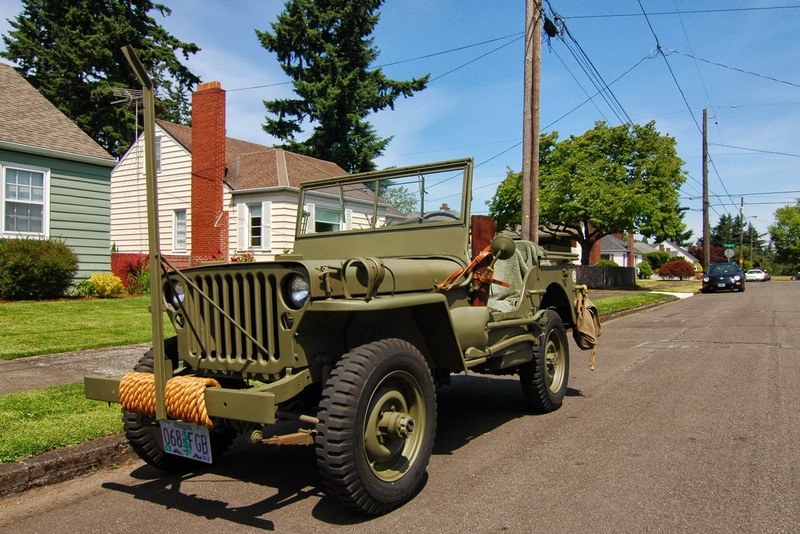 i don't care whether it's jeep or ford, military or civilian issue, army green or periwinkle blue. i just want to flip the windshield flat and commute every day across the pdx bridges. i'm surprised it's taken this long to gnab a photo of one. i trailed one around inner Southeast one morning. he was pushing the thing really hard, which was awesome until he lost me and i didn't get my picture. this looks like the right vehicle and the right neighborhood. and remind me to show you my new hat. All this nice cars 40-s, 50-s, 60-s... Is it museum cars, or owners use them every day? 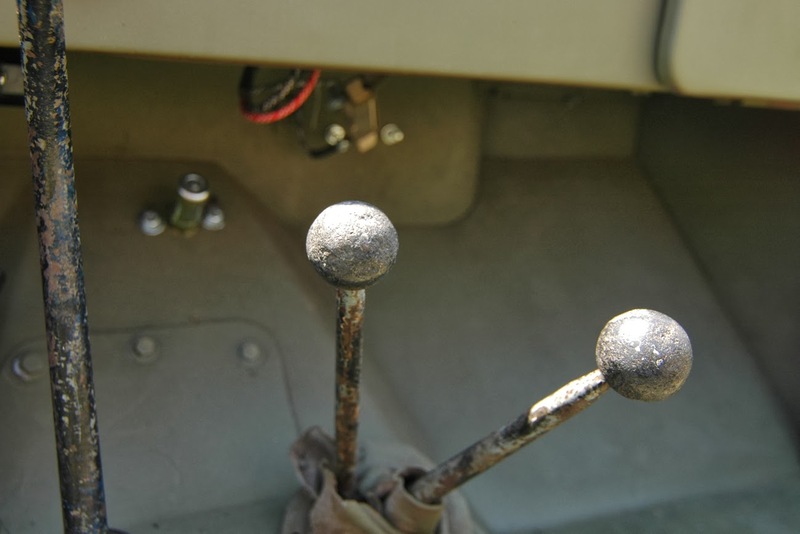 Tony, you're going to need one of these anti-decapitation devices on the front when you start the window down commute.